The Vast Empire of Genghis Khan! The Republic of Mongolia is a landlocked country between China and Russia. 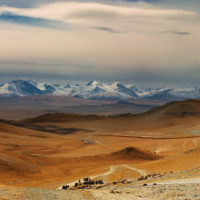 With an average of only 1.7 people per square kilometre – the lowest population density in the world – and almost 40% of the Mongolians living in the capital Ulan Bator, the country is a vast emptiness, that links land and sky. 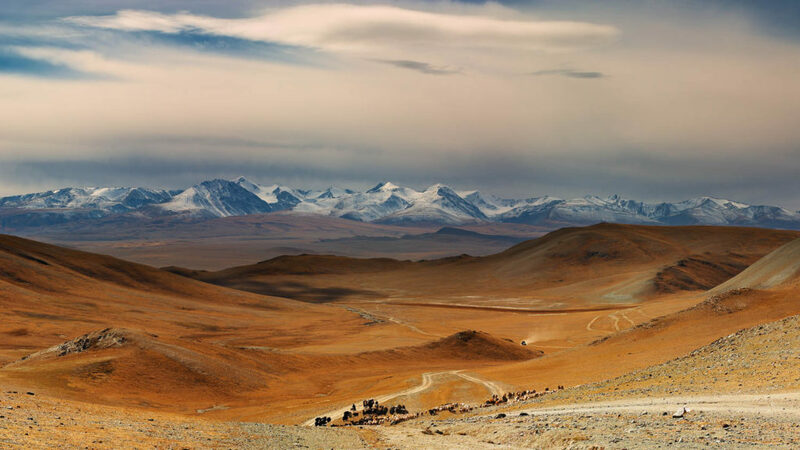 Most of Mongolia is covered by steppes, with mountains to the north and west and the Gobi Desert to the south. The north also features taiga forests and lakes. The basin of the lake Uvs Nuur is a natural World Heritage Site. The country is a haven where plants and animals can thrive, with hardly any people to threaten the species and one of the highest proportions of land area classified as protected. Mongolians value wildlife and cherish nature. 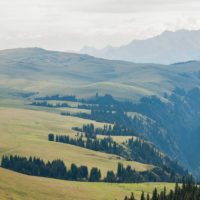 The country is a region of convergence and co-existence of flora which originates both from the Great Siberian Taiga and from the Central Asian Steppe and Desert. Many types of plants are used for traditional medicine of Mongolia, while animals and nomadic families coexist peacefully in the various national parks, which boast an incredible species diversity. 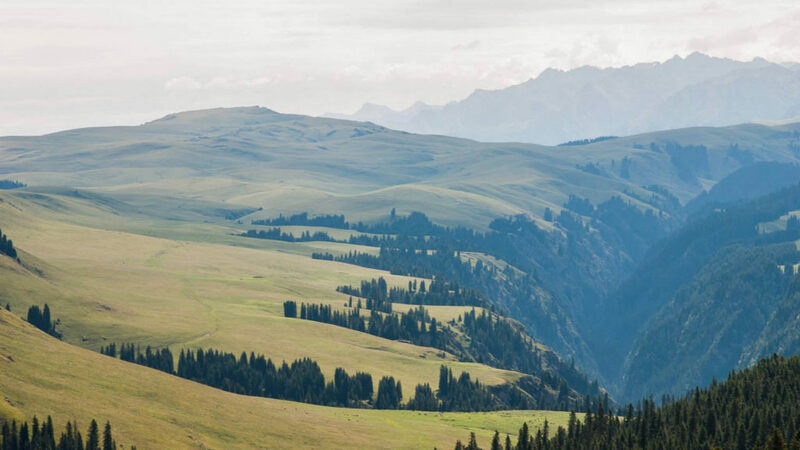 The first national park in the world was established in Mongolia! Horses are deeply embedded within Mongolia’s culture. Not only are they a prized possession and a means of living and survival, horses are also woven into Mongolian song, verse and history. Infants are taught to ride before they walk, and a young man’s prowess is measured by his skill as a horseman. Airag or the fermented mare’s milk is praised for its benefit for health and the digestive system. Airag holds the same cul¬tural and social value in Mongolia as wine in France. Recorded history of ancient Mongolia dates back to third century BC when the Huns came to power among many other nomadic tribes. In the chaos of the late 12th century, with tribes struggling for existence and power over other tribes, a chieftain named Temüjin eventually succeeded in uniting the warring Mongol tribes between Manchuria and the Altai Mountains. In 1206, Temüjin took the title Genghis Khan, and waged a series of military campaigns – renowned for their brutality and ferocity – sweeping through much of Asia, and forming the Great Mongol Empire, the largest contiguous land empire in world history. At its peak the empire stretched from present-day Poland in the west to Korea in the east, and from Siberia in the north to the Gulf of Oman and Vietnam in the south. 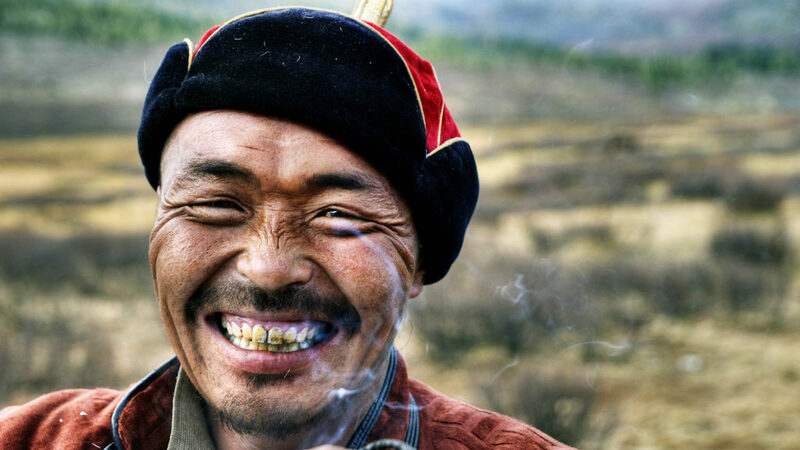 Today, the Mongolians are one of the last remaining nomadic people in the world, that have been roaming the vast grasslands for thousands of years, a tradition that lives on to date. 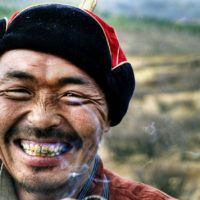 Almost 40% of the population is scattered all over Mongolia with their 56 million head of sheep, goats, cattle, horses, camels and reindeers, living in their traditional gers. The nomads devote their day tending to their livestock to produce felt and felt clothes, cheese and other dairy products. The national holiday of Mongolia is the Naadam festival, during which the country’s bravest and strongest men compete in wrestling, horse racing and archery. It is believed that Naadam celebrations started with the rise of the Great Mongolian Empire as Genghis Khan’s strategy to keep his warriors strictly fit. If a wrestler wins 10 rounds, he will be awarded the highest possible title of Avarga or Titan, which is for life. Praise songs will be sung for the Naadam champions. The people and the fans are the final judges. They will speak and spread the word of mouth about who is the champion till the next year. 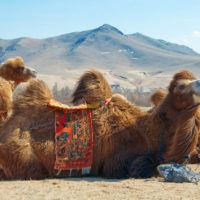 Mongolia, also known as the “Land of Blue Skies,” has an average of 257 sunny days throughout each year and travellers are advised to take good care of themselves concerning UV protection. 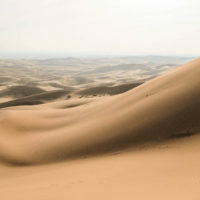 Mongolia has a extreme continental climate. Ulan Baatar has the lowest average temperature of any national capital in the world. Winters, from November to late February, are bitterly cold with temperatures averaging -23°C and in some parts dropping to -40°C. Due to a variety of terrains, Summer weather, from June to September, shows more regional variation, though generally it is hot, with average temperatures circling around 20°C. 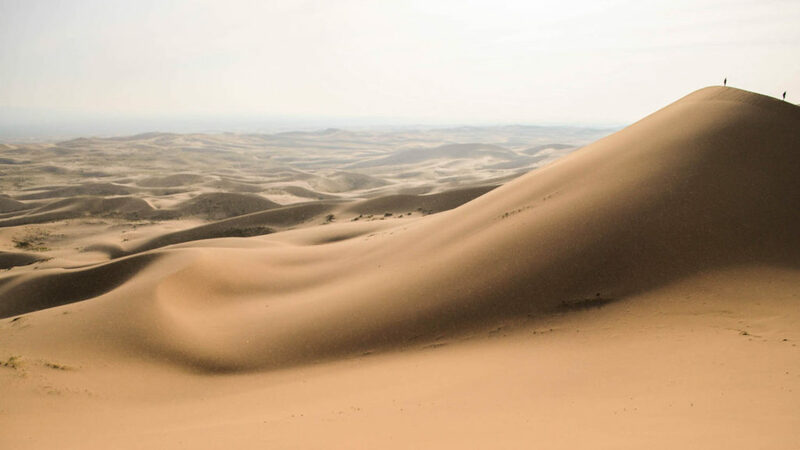 Outside of the Gobi desert, rain falls especially during summer. Summer nights can be relatively cool. The country also knows a Spring season from March to May and short autumn in October. The ideal time for travelling in Mongolia is from May to October. The spectacular national festival Naadam, one of the best times in the year to witness Mongolian culture, takes place in July. Although winter tourism is as yet in its early developmental stages, Tsagaan sar, or the traditional Lunar New Year celebrations with nomads, is an incredibly rewarding experience. © Copyright 2017 dmAsia | Designed by Dooley Creative Co.